One of my favorite cat faces in the world is "peeky tongue". You know, when a kitty bathes and the little pink bubble-gum tongue never completely makes it back into the mouth? 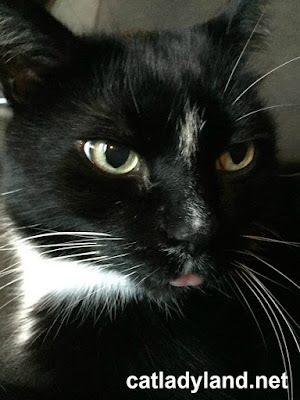 Cosmo's tuxie "I'm better than you" demeanor makes his peeky tongue especially pleasing.